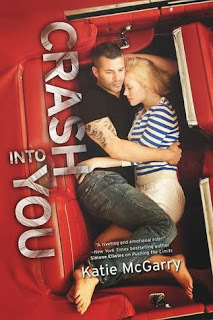 My pick is Crash Into You by Katie McGarry! Katie McGarry is one of my favorite authors. I'm pretty sure she writes some of the best contemporary romances EVER. She's extremely talented and I can't wait to read about Isaiah and Rachel! Crash Into You releases on November 26. Ah! I can't wait to read this book. I just managed to snag a copy from Netgalley, and I'm dying to start it. :) Great pick! Ooh, lucky! I requested this from Netgalley but haven't heard back yet. Hope it's good! Cant wait for this one!! OMG. Yes. I'm hoping I get approved for a copy from NetGalley.